The owner of this home was not aware of mold growth until the carpeting was removed. 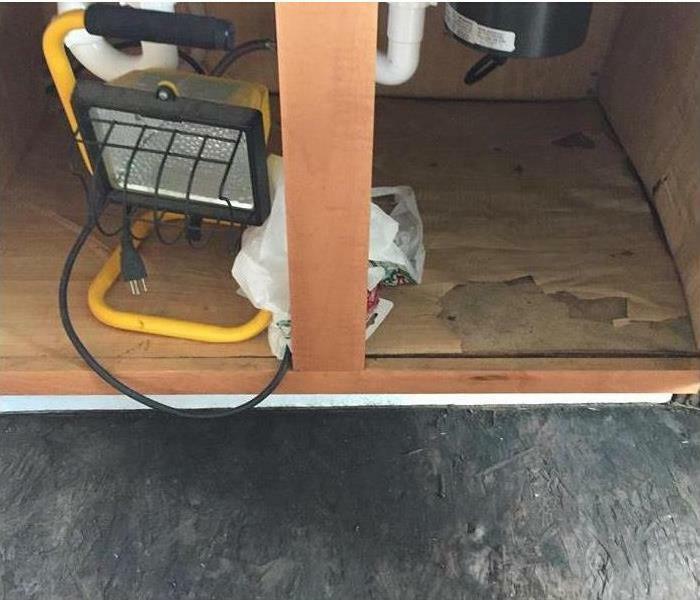 It was necessary to remove the cabinets to remediate the mold underneath the cabinets. 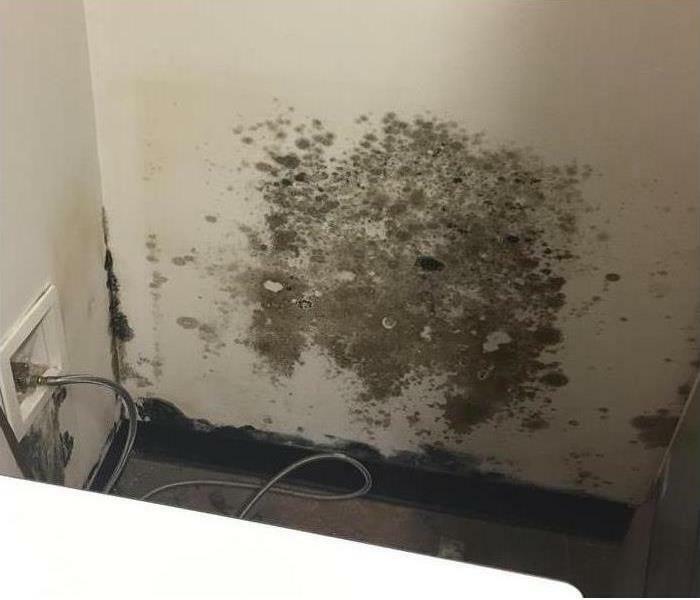 This apartment had mold set in after a water damage affected the unit. Our crews had to cut out the drywall to ensure all mold was properly removed for the safety of the tenants. This home was damaged when a pipe broke in the kitchen ceiling. The leak continued to run for quite some time affecting multiple floors throughout the house and causing mold damage. This home was affected when a pipe leading to the home broke and the entire basement was under water. We were called by the village to mitigate the loss as soon a possible. This home had extensive fire damage. Regardless of the size of the event, a fire in one room can damage belongings and surfaces throughout your entire home and cause odors that may last for years unless properly cleaned. This vacant home had a pipe break that went undetected for several weeks causing mold to spread rapidly throughout the home. 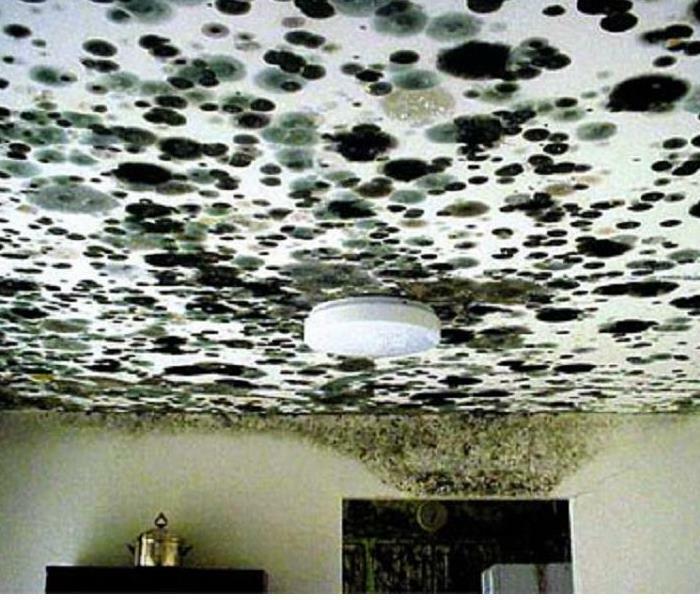 Water damages must be addressed promptly in order to prevent mold growth. In November of 2013 our franchise sent crews to Nashville, Tennessee to help flood victims. When fire and water damage take control of your life, we help you take it back. Hurricane Harvey made landfall on the evening of August 25th as a Category 4 hurricane. This is some of the aftermath of the storm that we encountered during our cleanup. 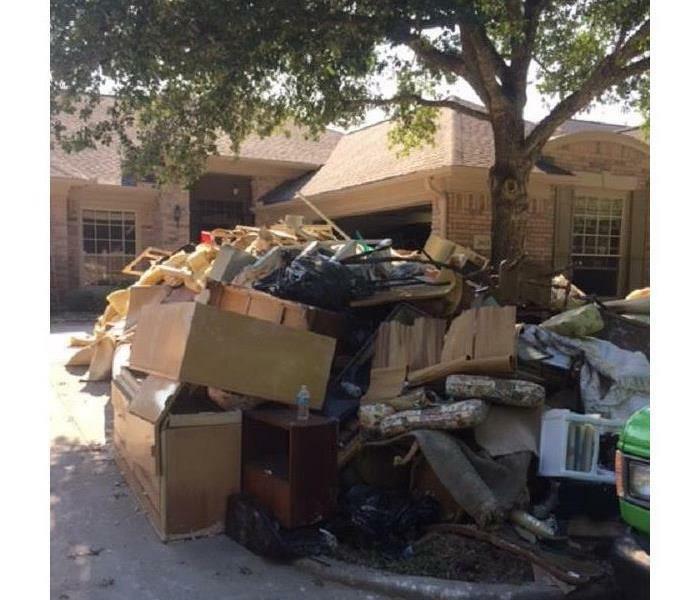 SERVPRO of Lockport/Lemont/Homer Glen sent several crews and trucks to help clean up the devastation caused by Hurricane Harvey. 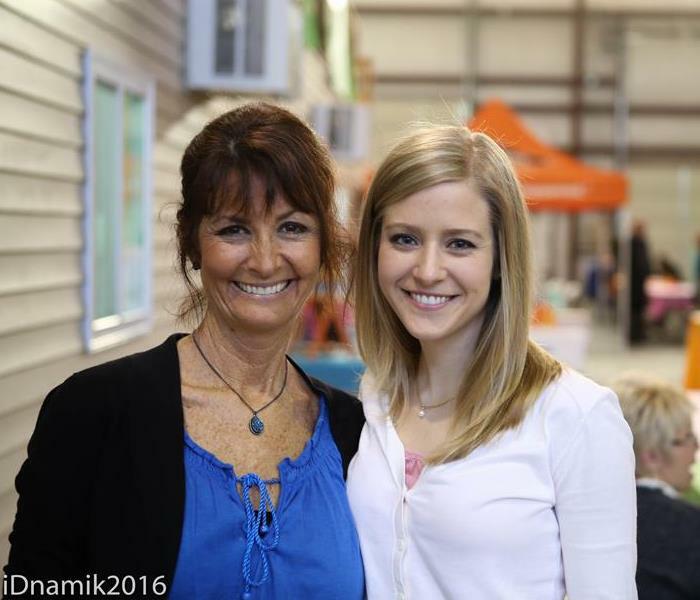 We are so lucky to have such a committed team who are excited about going to help others. 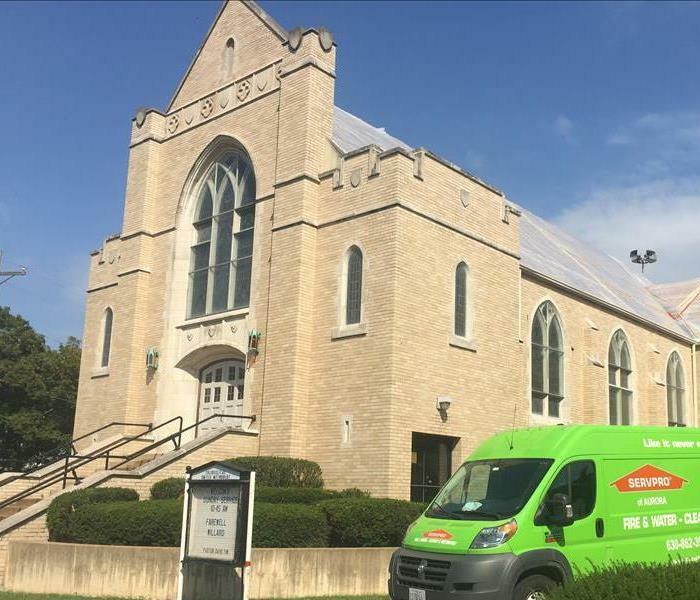 SERVPRO of Lockport/Lemont/Homer Glen provides Laundry and Dry Cleaning Services. SERVPRO utilizes the Esporta Wash System. The Esporta Wash System's unique patented technology sets the new standard for the restoration of textiles and soft contents. The Esporta technology is five times more effective than traditional laundry with 50% less water consumption. •Outperforms traditional laundry technology by restoring 85% of the contents that traditionally would have been cashed out. •Capable of cleaning Category 1, 2 & 3 water, heavy smoke and soot damage to FOOD GRADE CLEAN. •Supports all cleaning claims with documented third party laboratory validation. •Restores over 90% of the soft contents in a house claim vs. less than 40% recovery using traditional washing technologies. •Removes bacteria, viruses, odor, soot, grime, mold, bio waste and mildew from clothes and other textiles. SERVPRO of Lockport/Lemont/HomerGlen utilizies the Omegasonics 2300E® Electronic Cleaning Station effectively and safely restores sensitive electronics, including computers, televisions, stereo equipment, DVD players, computer routers, oscilloscopes, electrical meters, flat bed scanners and industrial electronics, removing all fire damage contaminants without saturating the items in water. 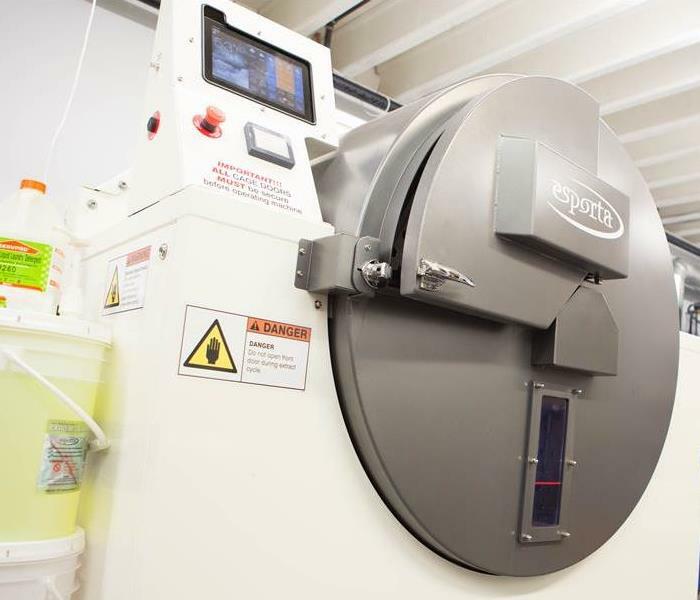 Once cleaned, items are placed into the Omegasonics 6500E® Electronic Drying Chamber, a state-of-the-art system that thoroughly dries and deodorizes electronics using a low-temperature, high-volume updraft drying design. Ultrasonic cleaning helps you decrease cashed-out items. It effectively cleans even difficult pieces like china, delicate figurines, ceramics, mini-blinds, silver, brass, chandeliers, plastics and stuffed animals more effectively than hand cleaning. It easily removes smoke residues, mold, water damage, heat scale and rust. 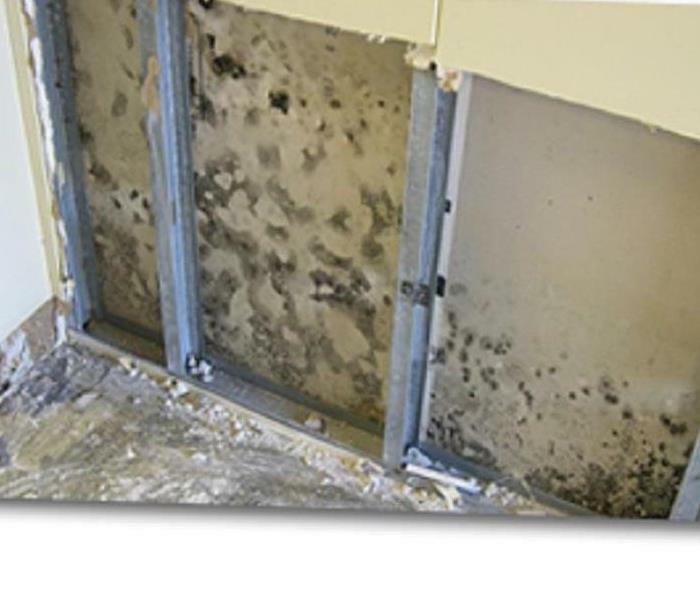 This commercial facility incurred severe water damage throughout the entire building. Our crews were dispatched immediately to mitigate the large loss before it caused further damage. It was of the utmost importance to get this business back to preloss condition as soon as possible. 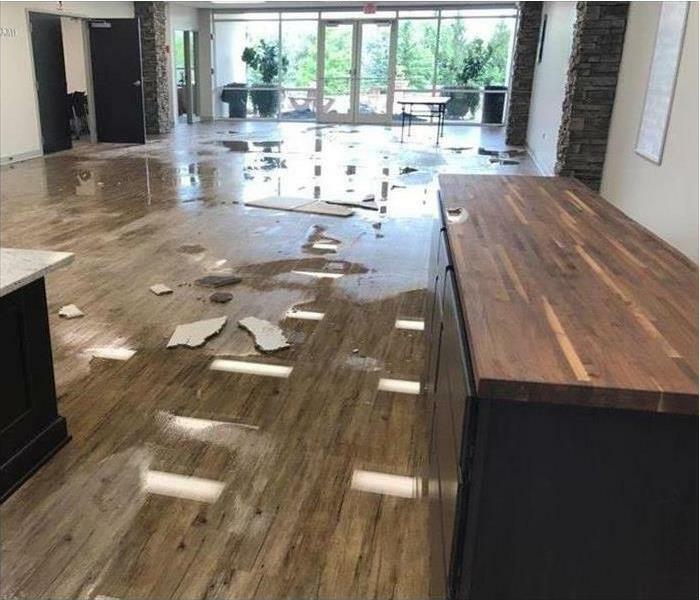 This business had a water damage due to a sprinkler head that malfunctioned. It was of high priority to get them back in business to avoid loss of income and loss of business. 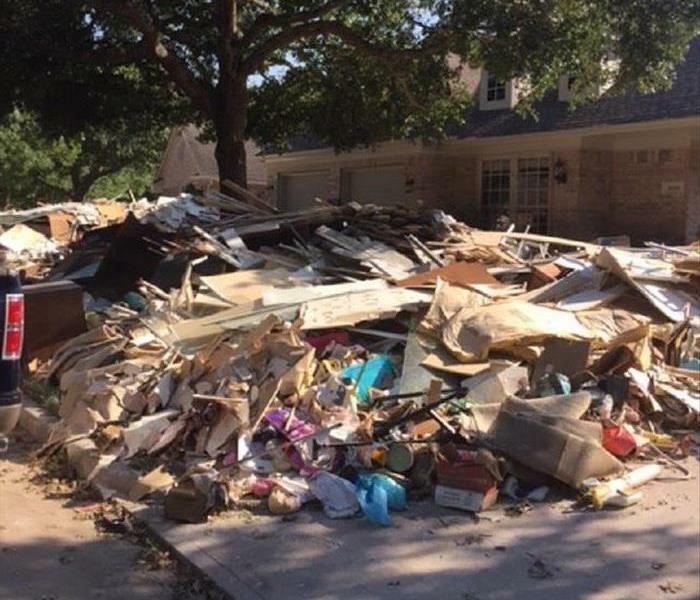 This home suffered a small water damage. When water losses occur water affects other areas of the home. In this case, the ceiling collapsed due to water in the ceiling. This home suffered a water damage. 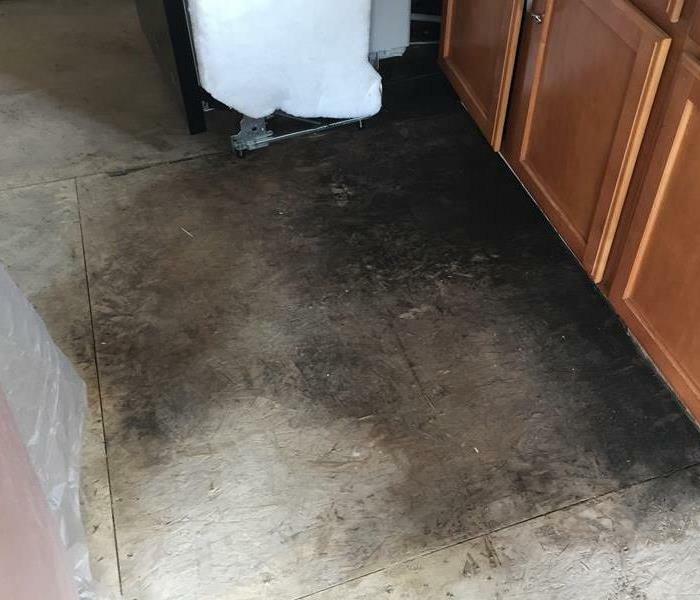 When water losses occur water affects other areas of the home. In this case the ceiling collapsed due to water in the ceiling. SERVPRO was there to remediate the loss. 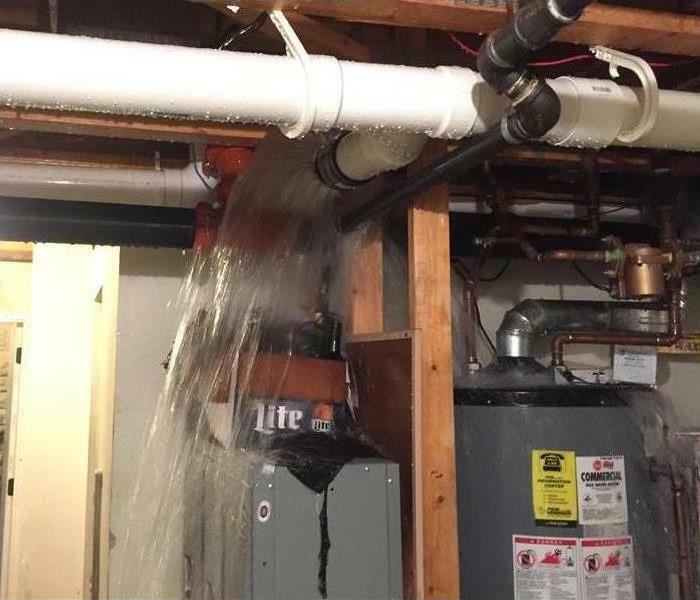 This home suffered a water damage due to a sump pump failure. 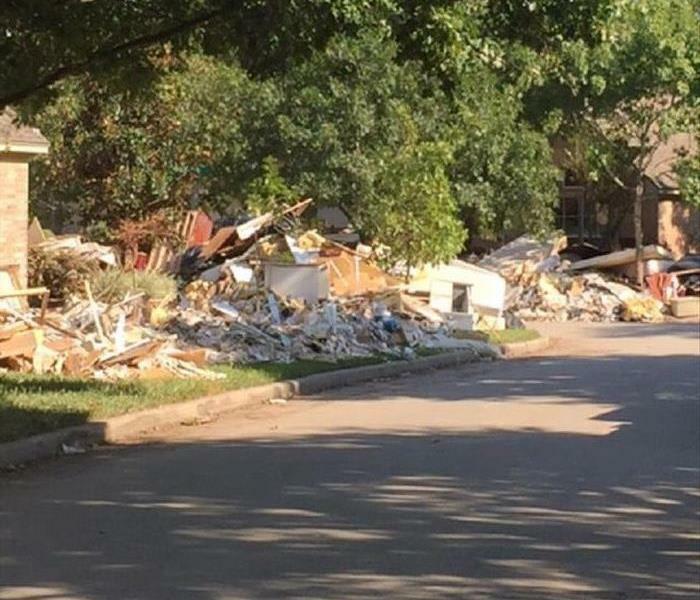 Our crews worked overnight to make this water damage "Like it never even happened." Serving our community one loss at a time. 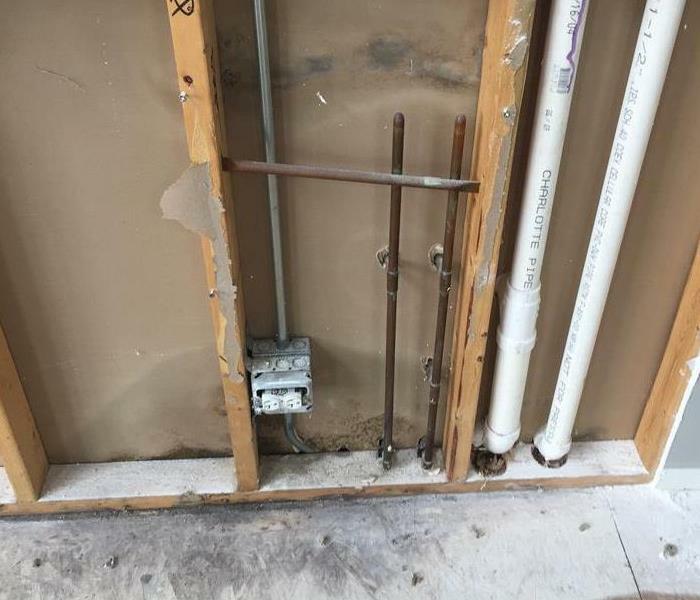 This home was damaged due to a leaking water valve that is connected to the toilet. It had been running for quite some time causing damage and rotting to the surrounding area. Our floor drying system can save hardwood floors if caught in a timely matter. When it comes to water damage, the sooner we start the drying process the better chance of saving the hardwood floor. 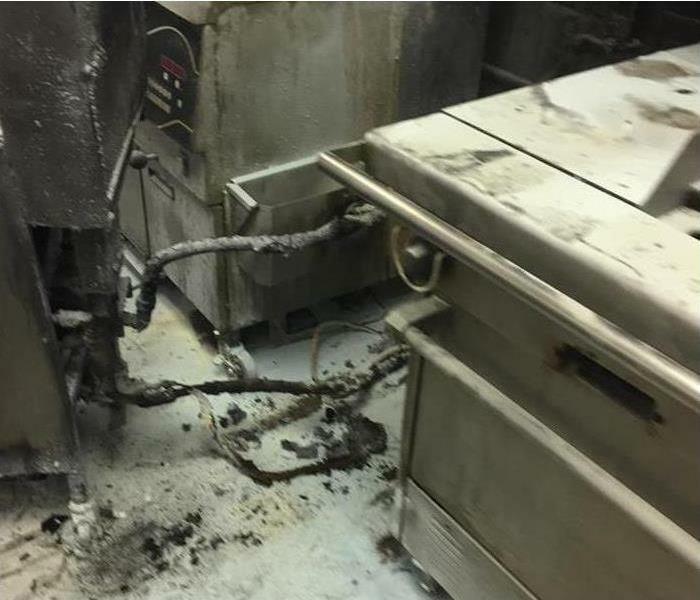 This large commercial facility had a freezer that malfunctioned causing flooding through out the building. When the call came in we dispatched employees immediately to make it "Like it never even happened." The owner of this home was not aware of mold growth until the carpeting was removed. 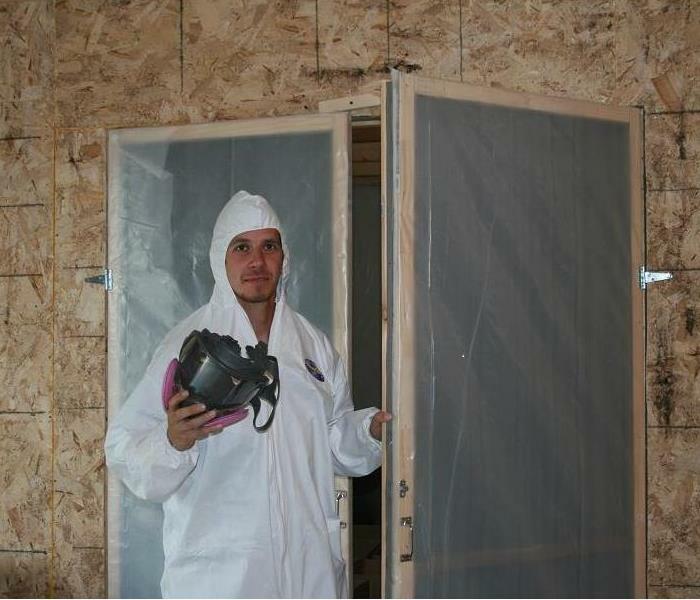 Our crew did mold remediation and sealed the area to ensure no further growth in the area. 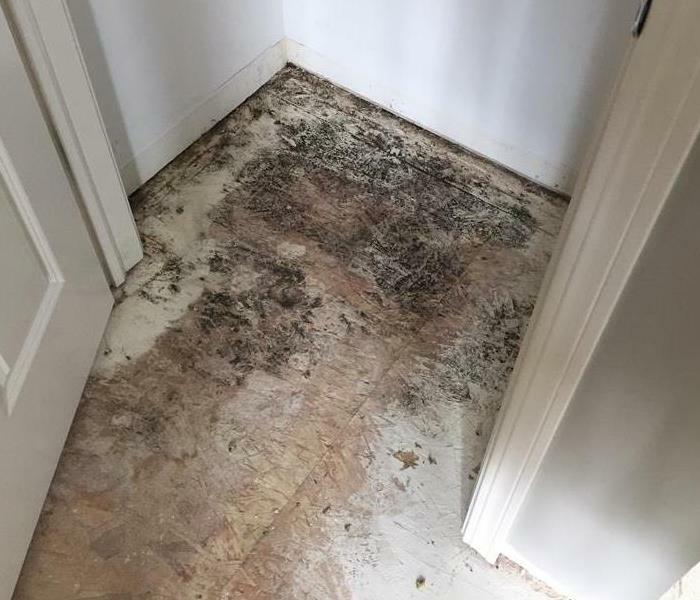 The owner of this home was not aware of mold growth until the carpeting was removed. 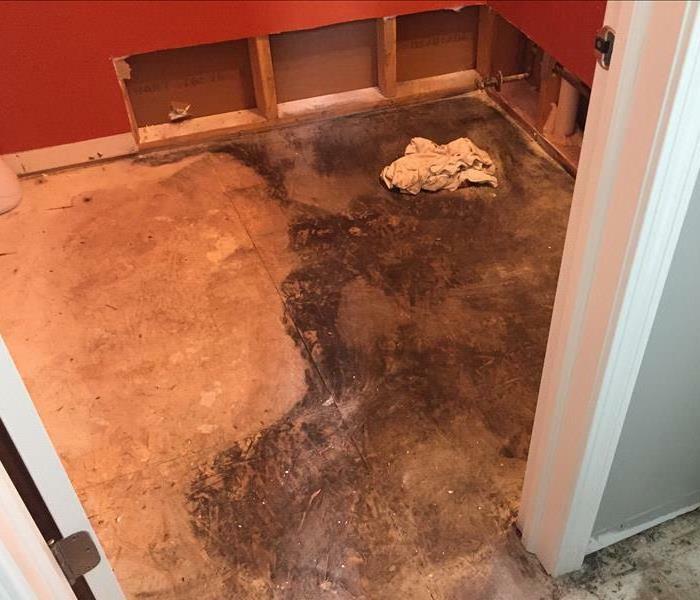 Our crews did mold remediation and sealed the area to ensure no further growth in the area. 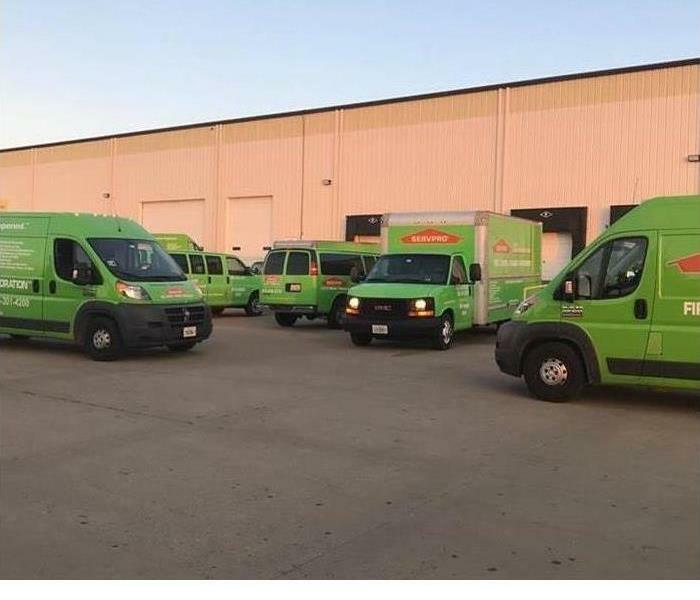 SERVPRO of Lockport/Lemont/Homer Glen was called when a pipe broke in this large commercial building. After the pipe was fixed we restored the area making it "Like it never even happened." This business suffered a small kitchen fire. We were called in to do the cleanup and get them back in business as soon as possible. When your business is affected by fire or water damage we will make it "Like it never even happened." This large commercial building was affected when a water supply line broke causing damage to multiple floors within the building. Our crews worked throughout the weekend so that the business was up and running by Monday morning. SERVPRO of Lockport/Lemont/Homer Glen is one of the nations leaders in fire content pack outs, cleaning and storage. 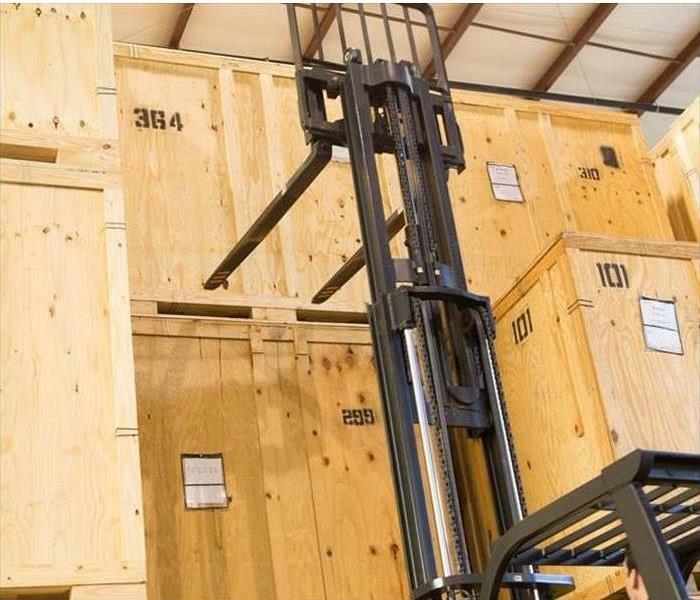 We have a 30,000 sq. ft. facility and utilizes the most recent technology and software to manage customers content. 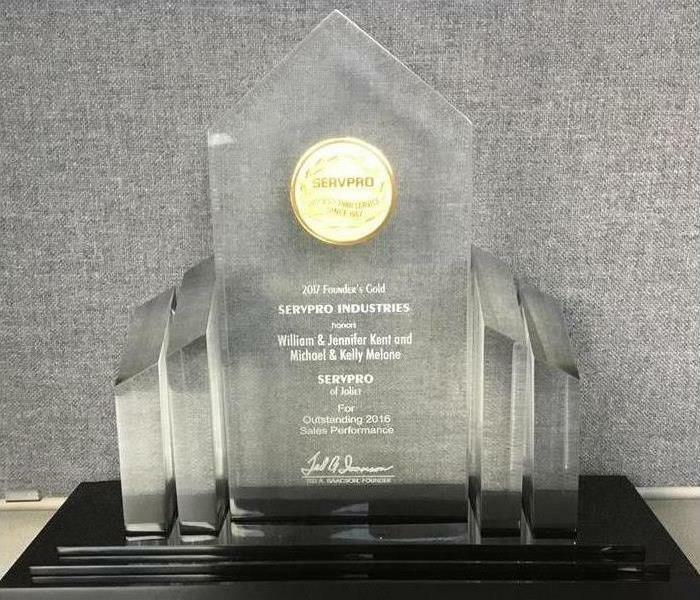 We are very excited and proud to receive this award for Outstanding Sales Performance - ranked 47th out of 1700 Franchises. Thank you to our staff and our clients who put their trust in us in their time of need. 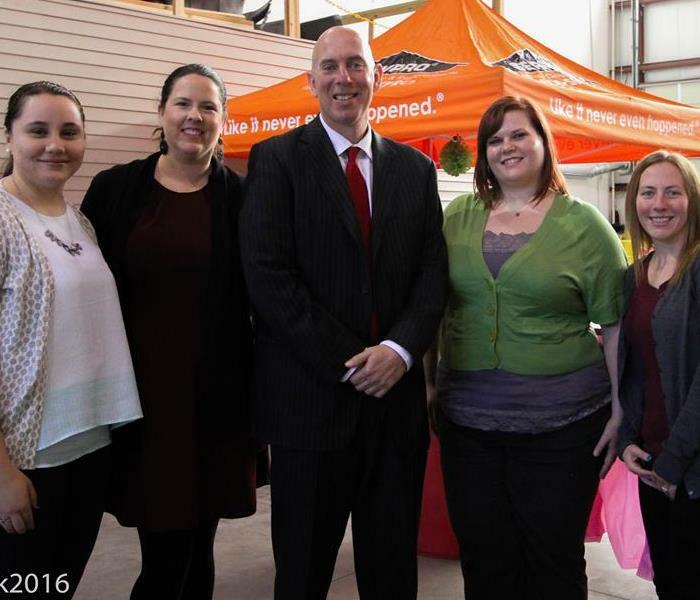 Thank you to Mike Trafton and the Big Brothers Big Sisters Agency for stopping by our open house. We are so grateful to all that took time out of their busy day to support us and our business. 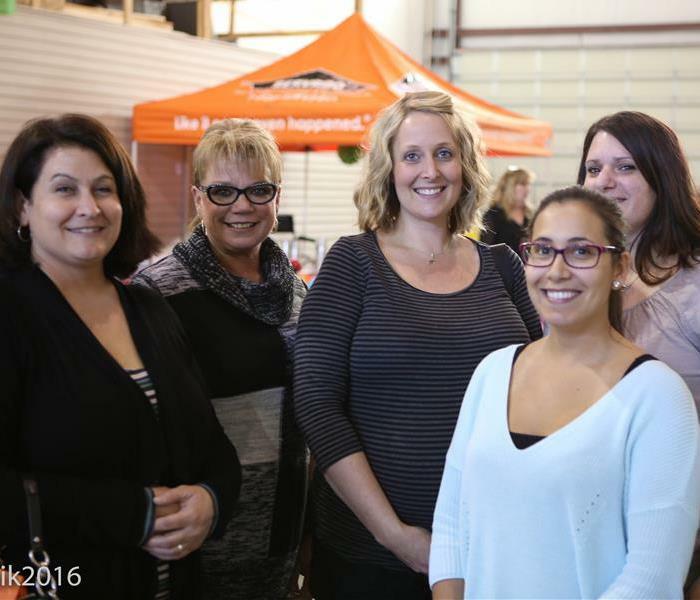 Thank you to Brown & Brown Insurance for stopping by our open house. We are so grateful to that took time out of their busy day to support us and our business. Thank you to Maureen and Valerie from ServiceKing for making all of the delicious desserts! 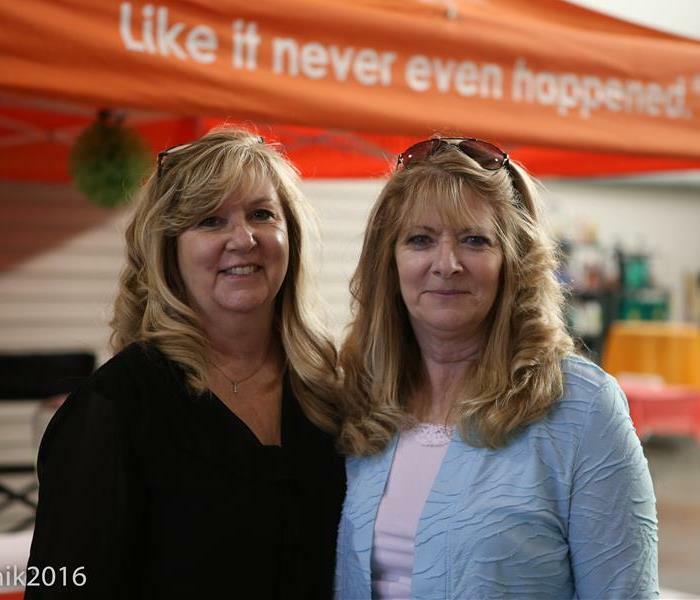 We do a lot of joint marketing with Val and Maureen and are grateful for their friendship. 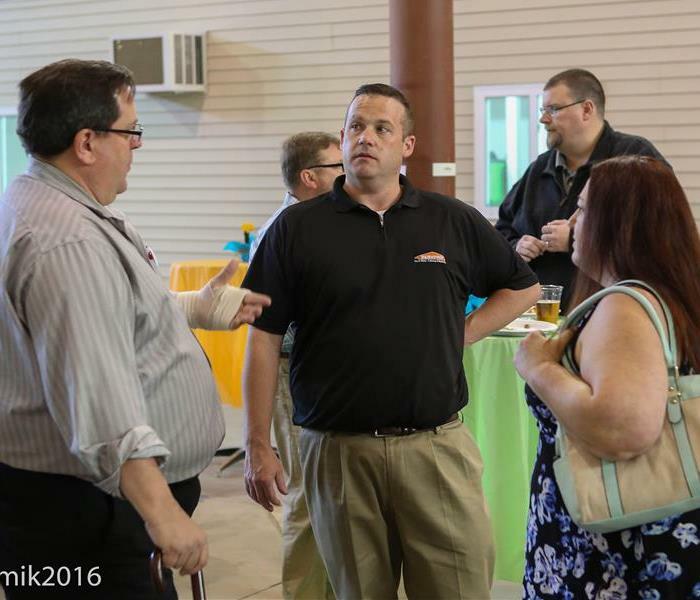 Thank you to Wayne Bessette State Farm for stopping by our open house. We are so grateful to all that took time out of their busy day to support us and our business. 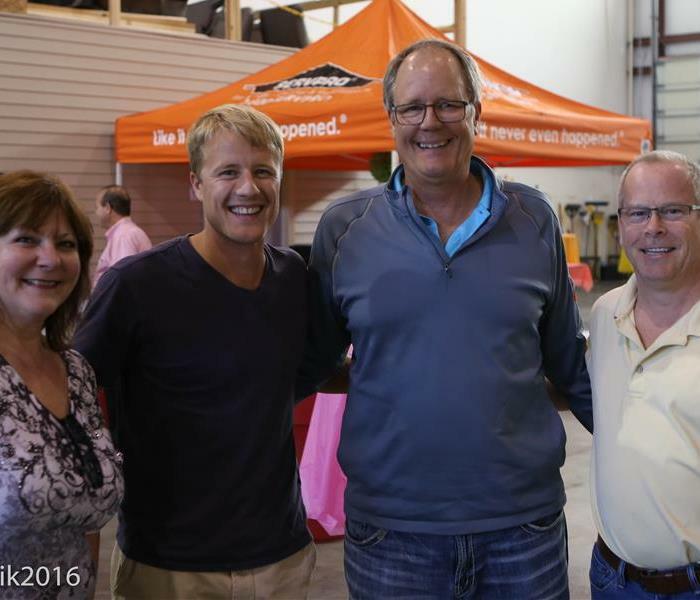 Thank you to Charles Sharp-Sharp Homes for stopping by our open house. We are so grateful to all that took time out of their busy day to support us and our business. Thank you to Express Employment for stopping by our open house. We are so grateful to all that took time out of their busy day to support us and our business.